Empires of Arcana - The Game of Fantasy Conquest! Empires of Arcana is a fantasy empire building game. 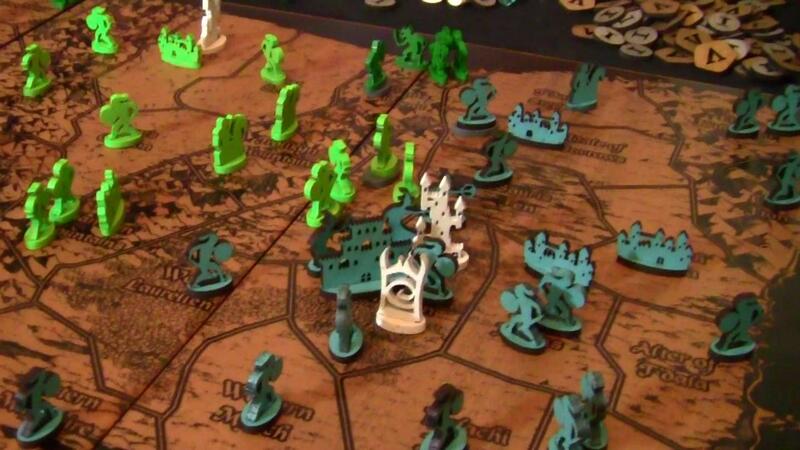 Each player rules a small kingdom, competing against other players to build the strongest empire through military, magic, and economics. The rules are easy to learn, and the action is fast and furious! Read more about the gameplay here. The newest version of EoA is beautifully made from laser cut and laser etched wood. All of the pieces have been redesigned be be halfway between a meeple and a standee, and all are painted in vibrant colors. 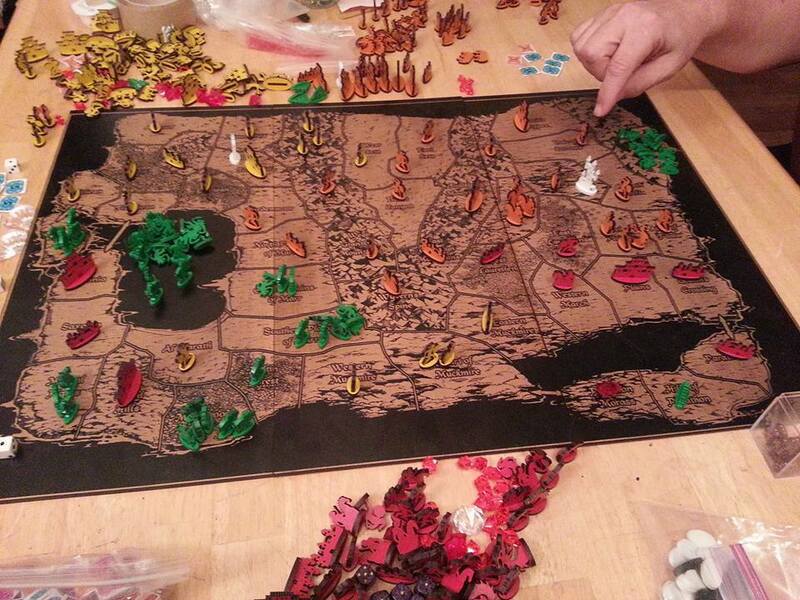 The board comes in three pieces, eatch laser etched with the territories and terrain of Arcana. There are also printed cards and acrylic gemstone pieces. The standard six player game comes with over 700 pieces! 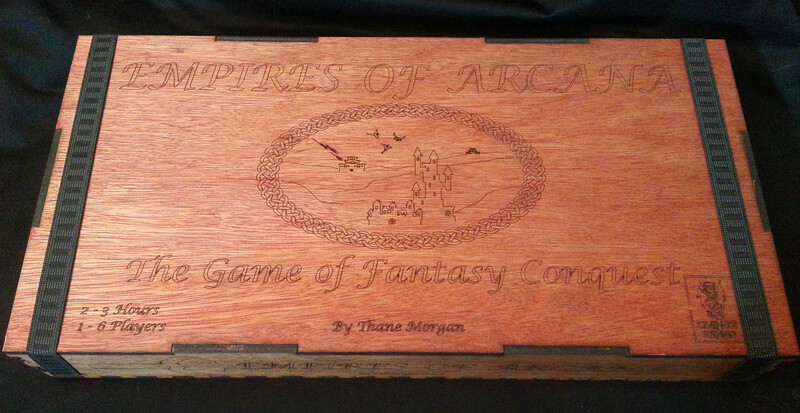 It comes in a red wood box, with laser etched designs and lettering. 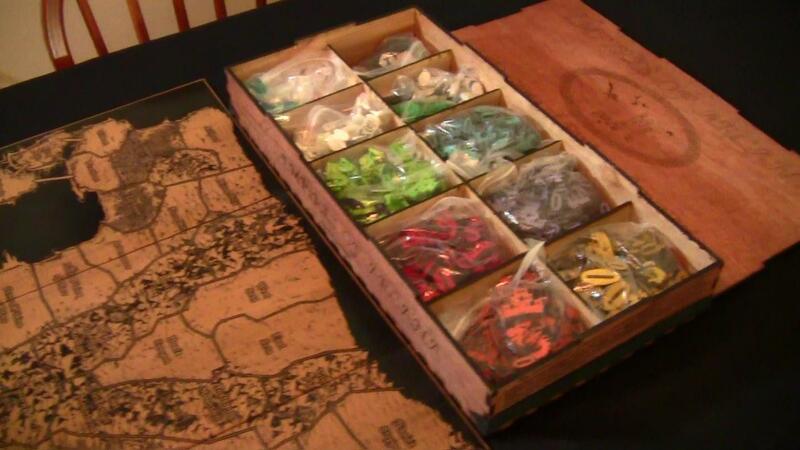 The box interior keeps all of the pieces organized and the board well supported - this game will last a lifetime! It is a beautiful addition to any game collection, and since this version is all hand-made and of a limited quantity (whenever I get tired of making it! ), will be rare beyond compare!